The holidays aren't complete without spreading some Christmas cheer. 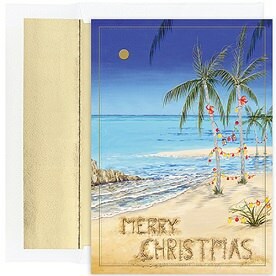 And the best way to do this (without breaking the bank) is with our Christmas Card Box Sets. 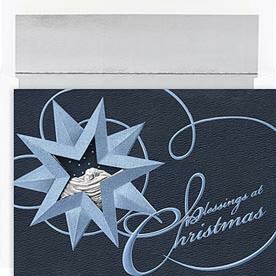 All of our cards come with matching envelopes so that your card can be protected all the way to the North Pole. 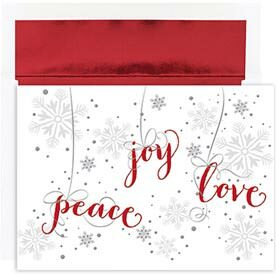 Whether you want to send your family some love, friends some appreciation, or coworkers some warm wishes, these festive holiday themed envelopes will bring a smile to all of their faces. We have a dozen categories to choose from, so picking the right message will be as easy as choosing your favorite theme. Want to send a humorous message, making sure that you'll be spreading even more happiness during the happiest time of year? 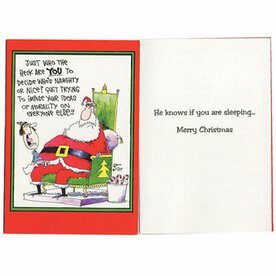 Try our Funny Christmas Card Sets. 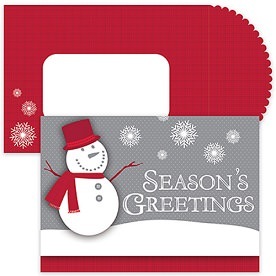 Want your envelope to not only protect your card, but match the same holiday theme? 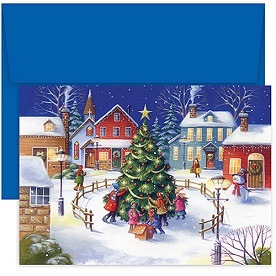 Our Season's Greetings Christmas Card Sets will bring those reindeer, snowmen, and Christmas trees to life. 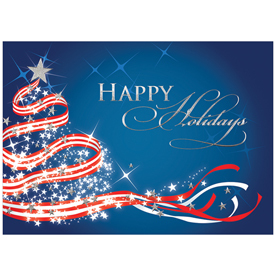 Sending money along with a holiday greeting? 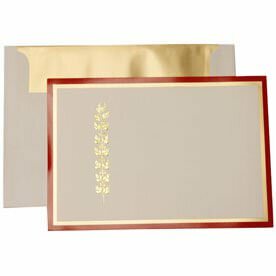 Try our Tip Cards with Envelopes. 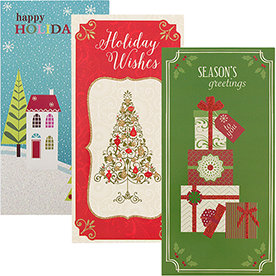 These cards will be able to store any amount and keep your holiday theme intact at the same time. Get personal with our Blank Christmas Card Sets. This way you can write your own message inside! 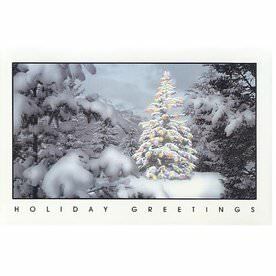 So say Happy Holidays, Season's Greeting, Warm Wishes, even Happy New Year with our Christmas card sets and make sure to shop before the season comes!